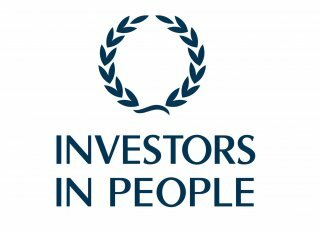 Investors in People (IIP) is a management framework for high performance through people. Basically Investors in People forms a quality standard for organisations to measure themselves on their human resource management (HRM) practices. The aim of Investors in People is to provide a blueprint to help organisations to improve the way they manage, develop and inspire their workforce, with the premise that a focused attention for the development of employees and alignment of their skills and motivation to the organisation’s strategy is crucial in achieving and sustaining the competitive advantage of organisations. Organisations can get accredited and achieve the Investors in People Standard when they go through a rigorous and objective assessment to determine performance. They can also choose to work with the principles of Investors in People and be recognised for that without getting a formal accreditation. If they go for accreditation, organisations need to demonstrate they have policies and procedures in place relating to organisational strategy, learning and development, leadership, employee engagement and employee management and evaluation. The motivation for an organisation to start with Investors in People are mainly twofold. Most organisations want the recognition from a well-respected standard for their current people policies, while other organisations engage with Investors in People mainly to get their people to start implementing improvements so competitive advantage can be achieved. From the beginning the Investors in People standard was not a static but a dynamic standard in that it has been regularly updated to keep up-to-date with the challenges and demands the business environment places on organisations. Currently IIP is developing and rolling-out the 6th version of the IIP Standard. A combination of developments made this update necessary. First, people have become increasingly important for the success of an organisation as we have shifted from the industrial era to the knowledge society in which immaterial or intangible assets, such as human capital, information capital and organisational capital, have becoming much more important than material or tangible assets (machines, buildings) to the success of an organisation. Second, in many workplaces today there are three generations working: the baby boomers or Boomers (born between 1946 and 1964), Generation X (1965 – 1981), and the Millenniums or Generation Y (1982 – 1999) who each has its own unique core values and attitudes that are different from the others. When management, which still mainly consist of Generation X-ers, does not deal well with the attitude and values of the workforce which nowadays mainly consists of Generation Y-ers, organisations run the risk of difficult communication, poor morale, and an increase in employee turnover. Fourth, the feedback collected in recent years from accredited organisations and practitioners indicated that IIP was most powerful as a simple people management framework which entices organisations to strive for high performance. It is conspicuous that these developments all have in common that change is no longer an exception but the rule, and that competition now really is worldwide which means the demands on organisations have become much higher and more ambitious. It is also clear that the human factor, i.e. the quality of managers and employees, has become crucial to dealing adequately with these changes and competition and therefore have become the de facto determiner of an organisation’s success. Read this complete Investors in People article in PDF!